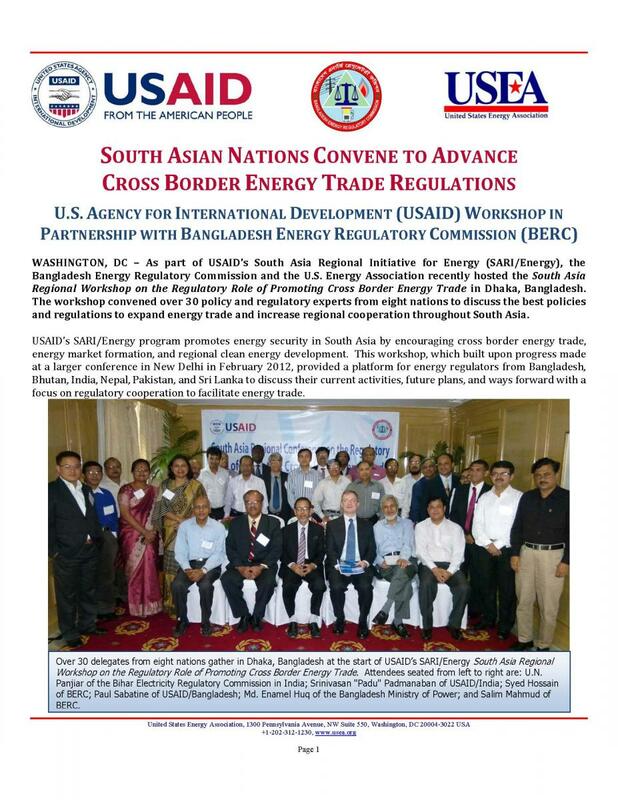 The South Asia Regional Initiative for Energy Integration (SARI/EI) program was launched in 2000 to promote energy security through increased trade, investment and access to clean sources of power and fuel. Since then, SARI/EI has reached out to more than 4000 participants in the region on clean energy trade, energy efficiency, rural energy supply, energy regulation, energy statistics, and private sector involvement. Countries in the region import over two-thirds of their hydrocarbon resources and are seeking ways to diversify supply sources. Significant untapped energy resources exist within the region. Energy sharing and cooperation could dramatically improve the regional supply-demand scenario and enhance energy security for the individual countries of South Asia. 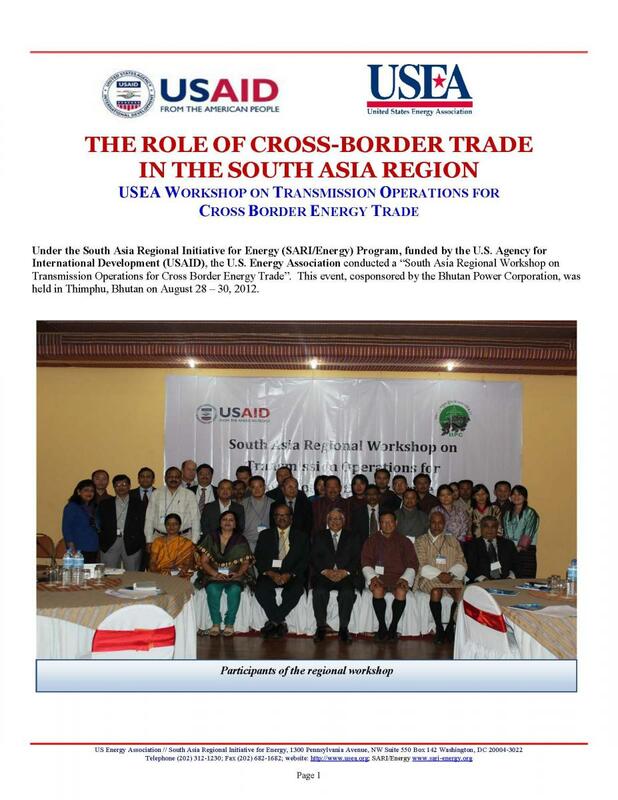 SARI/EI works to promote technical and institutional frameworks for regional energy planning and infrastructure investment involving cross-border trade in energy. 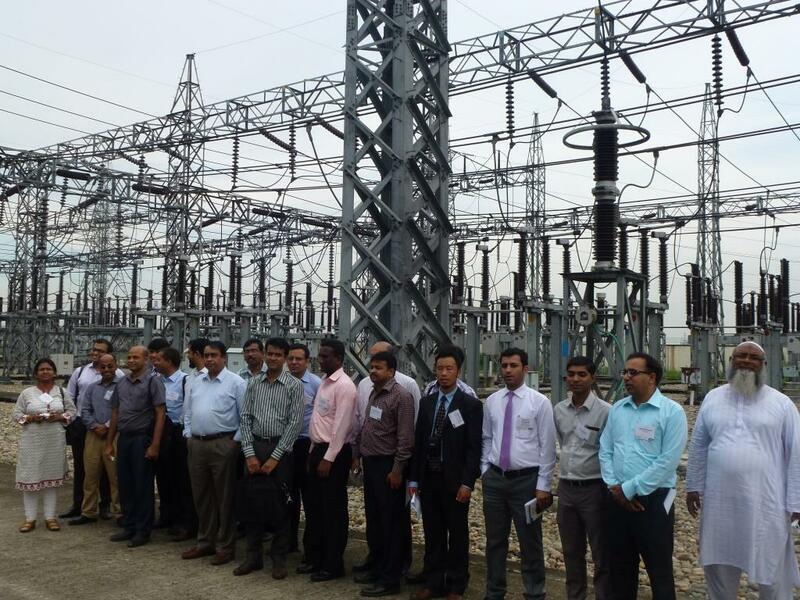 Promoting regional power exchanges and developing regional power transmission networks helps provide access to untapped energy resources, and also to assure the reliability of energy supply and mutual support to the nations of South Asia. 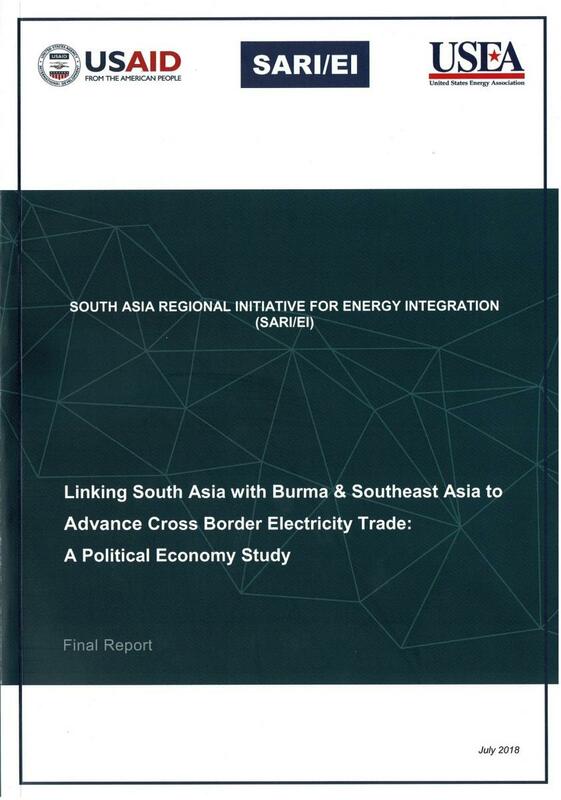 The network of energy sector professionals in Afghanistan, Bangladesh, Bhutan, India, Maldives, Nepal, Pakistan, and Sri Lanka created by SARI/EI, has led to widespread sharing of best practices, models of institutional reform and restructuring, and documented performance improvement. These professionals are helping to put in place the building blocks for more robust regional trade and sustainable economic development. SARI/EI-sponsored training, capacity building, and networking have contributed to the writing of energy sector restructuring laws throughout the region. The program supports institutional and organizational changes that make the sector more market driven and better equipped to address the needs of under-served consumers. In addition, the program has identified significant opportunities for catalyzing private sector investments in regional energy infrastructure. Activities will focus on strengthening institutional capacity within governments, regulatory bodies, utilities, NGOs, and the private sector through discrete events such as training workshops, seminars, formal courses, and study tours. These events will include participants from across the region, and be held at multiple sites thereby encouraging the establishment of formal and informal networks among the region's professionals. The program will support information-based dialogue among government, private sector, and NGOs to assuage concerns and advocate opinions related to energy sector reform, commercialization, and foreign investment in the energy sector. In addition, special emphasis is being focused on promoting business coalitions that will promote energy sector reform and cross-border trade. SARI/EI program will also work to encourage the formation of regional forums, networks, partnerships, and associations that can influence politicians and decision-makers on energy cooperation and development. Target groups for regional networking to exchange ideas, problems, and best practices include: government technocrats, energy professionals, environmentalists, utility executives, regulators, trade and industry associations and NGOs. SARI/EI provides pre-feasibility studies, technical assistance, advisory services, seminars and training, peer exchanges, mapping and project development in each of our three activity areas. Over the next several years, the SARI/EI program will build on its accomplishments, helping to foster regional cooperation around key energy-related issues.